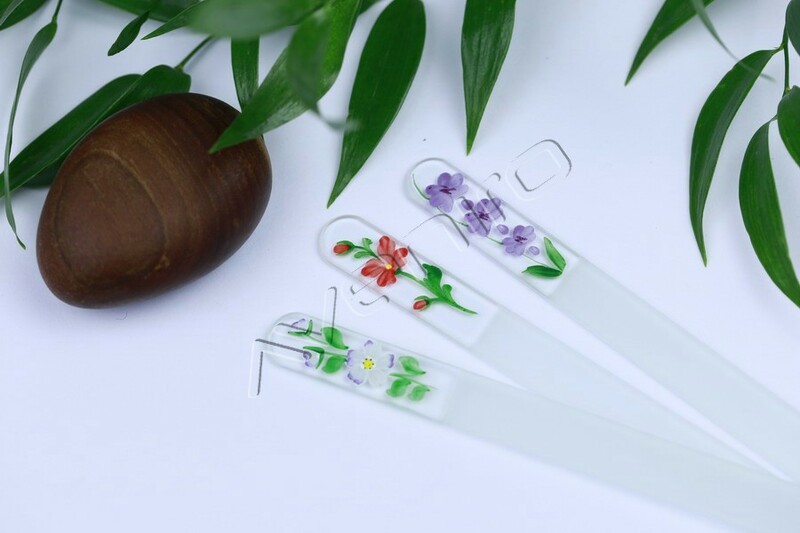 Hand-painting falls within the traditional ways of glass decoration. Painters apply a glass paint on the file and create a given motif with precise paint brush strokes. 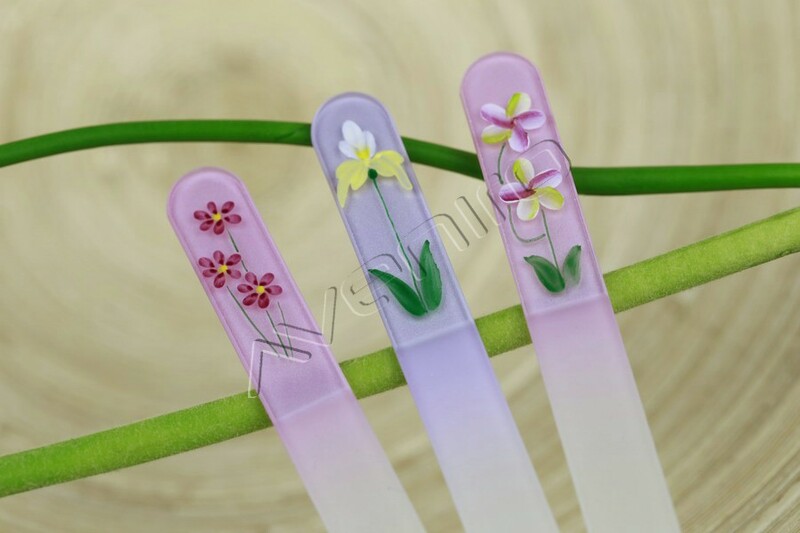 The decorated nail files are hardened in the furnace, thus the decoration becomes resistant. Each piece is a unique hand-made original. 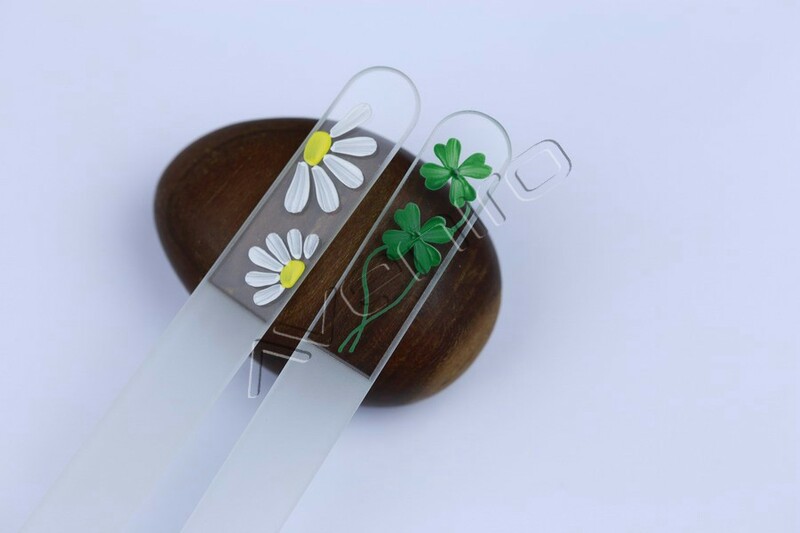 Glass paint applied on the nail files contains glass with a low melting point. The paint melts in the furnace and merges into the body of the glass nail file. That is why the hand-painted decorations are very resistant. We offer a wide range of attractive designs. 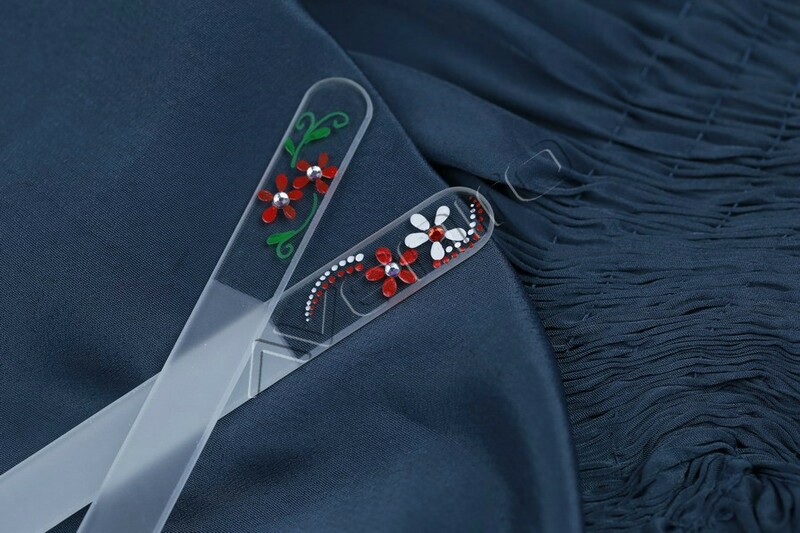 The most popular are motifs with flowers. We also offer realization of customized designs.